The Kondensator-Mikrofon CMV 563 is a tube condenser bottle microphone manufactured by the division of the Georg Neumann company in Gefell, East Germany, which has since been renamed Microtech Gefell. The mic was made from 1956-1971, then reintroduced in 2011 (see the new MTG CMV563). To be clear, although these mics are branded “Neumann,” they were not made by the company known today as Neumann. The present-day Neumann company refers all CMV-563 inquiries to MTG. The CMV-563 mic was conceived as a tube preamplifier that could be used with any of a variety of interchangeable capsule heads: the M 55 (omni), M 7 (cardioid), M 8 (figure eight) and M 9 (omni) as well as M7S, M8S and M9S with short handles. The M7, M8, and M9 attached via a long “bayonet” mount. The “S” versions screwed directly onto the mic body. With the PVC-diaphragm M7 capsule, the 563 is said to sound very much like an original U-47. That said, 50-year-old PVC capsules are unlikely to sound much like they did when new. 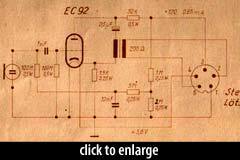 The tube was an EC92 triode. CMV-563s turn up on Ebay frequently, with prices ranging from $1000-$3000 depending on quality and the number of capsules included. The consensus on the forums is that a good 563 is a great microphone, whereas a poor one is a poor microphone, and that it’s hard to tell in advance which is being sold. Further, this mic seems to more commonly be refurbished/repaired with newer parts than is the case with other vintage models (in which originality seems a requirement for maintaining the desired sound). [T]he historic Gefell [transformers] were made in Gefell due to the fact that no real audio lamination [was] available in former East Germany… sometimes they used whatever they could get their hands on. Same with most Gefell parts during the time… The stuff Gefell used is home-made and barely works. [M]ost Gefell [microphones] that were made during the GDR times are plain old garbage due to material problems… If someone wants to rebuild those mics, that is a pretty good job if you can do it yourself, but please see it in relation… to what it [costs] and what you get. But in the end a rebuild CMV is a great mic to have. 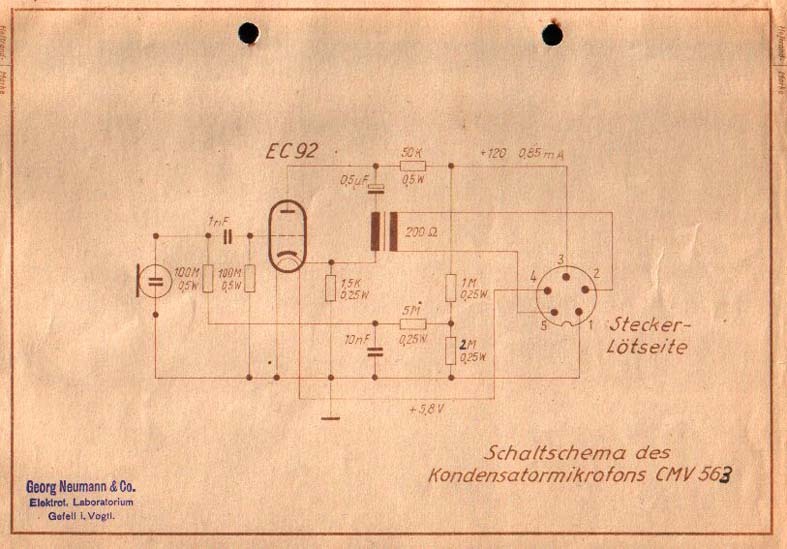 In my experience everything needs to be replaced, resistors, capacitors as well as a new high quality (tube) mic cable, and a capsule rebuild to get a mic that can stand up to any west german Neumann counterparts, and do not forget the PSU. The Neumann CMV-563 is also known as: CMV563.